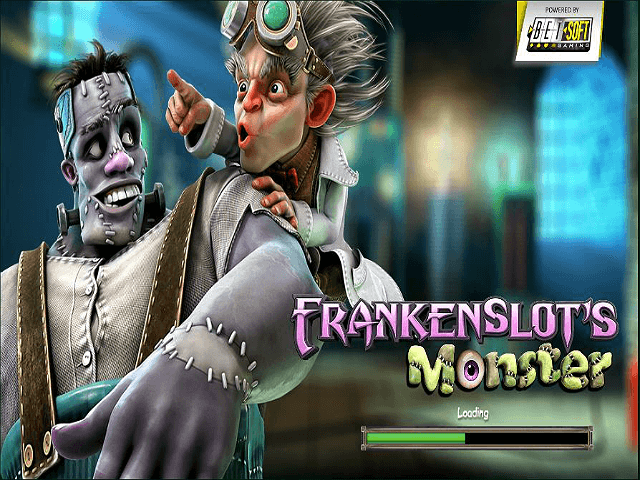 The leader in 3D slot technology, Betsoft Gaming, have rolled out another stellar 3D slot title with their 2016 release of Frankenslot's Monster. This goulish slot game joined a growing list of topnotch 3D slots released by software giant in 2016 as they looked to continue to establish themselves as the top 3D slot supplier on the planet. Play Frankenslot's Monster For Free! 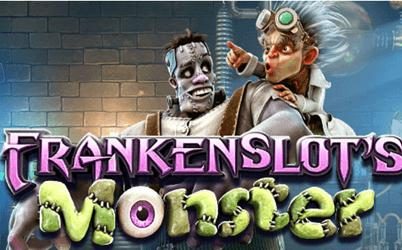 The leader in 3D slot technology, Betsoft Gaming, has rolled out another stellar 3D slot title with their 2016 release of Frankenslot's Monster. This ghoulish slot game joined a growing list of topnotch 3D slots released by the software giant in 2016 as they look to continue to establish themselves as the top 3D slot supplier on the planet. Frankenslot's Monster obviously features world-class three dimensional graphics as with most Betsoft offerings but developers behind this title didn't stop with aesthetics. This 5-reel, 20-payline slot also features a fabulous bonus scheme including a unique mini-game offering a chance at 25x your initial bet. This one of a kind slot game includes movie-quality 3D animation and graphics while simultaneously providing entertainment and, of course, an opportunity to win tons of cash. What more could you ask for in a slot title? "Retelling favourite stories is as old as humankind itself, and to create a game based on such a well-known tale was a satisfying experience at every level of development." Aside from the storytelling roots, its the 3D technology that has critics gushing over this title. Betsoft put all its resources behind this game to ensure the 3D imagery was truly captivating. Players enjoying a spin are greeted by the mad slot scientist, Frankenslot, and his humble creation, the slot monster. The images and graphics littered throughout the game outside of the main characters are also intriguing as players can experience bobbling beakers and leaky hallways invoking the creepy feeling so many have enjoyed throughout the decades with the original story. Frankenslot's Monster's features begin and end with their stellar bonus offers. From Wilds, to Scatters, to unique mini-games, this slot has it all in terms of bonuses. The 'Electrified Wilds' are added following each free spin used. The 'Trigger 8' free spins has unlimited retriggers, a fantastic twist for those who love to spin for hours. If players hit three or more bonuses, they are whisked away to a mini-game providing players with a chance to increase your initial bet 25 times. Many players enjoying a spin on this title are looking to capitalise on the '1000x Top Jackpot', an extremely generous offering, yet some fail to realise the minimum bet to qualify for this bonus is £0.02. So don't miss you're chance at 1000 times multiplier!